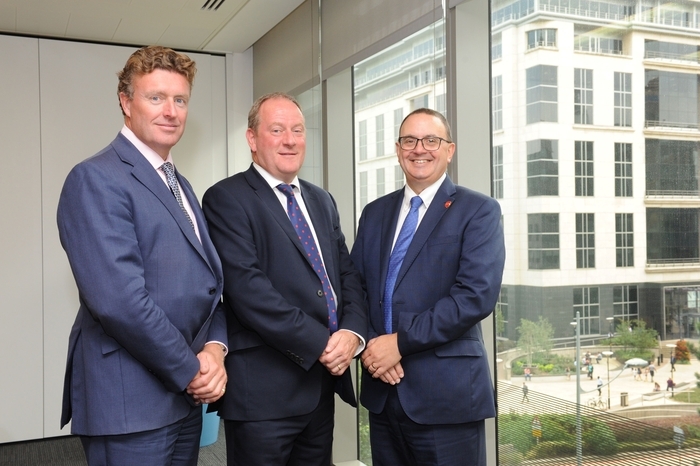 (L-R): Peter Horton, Stephen Benson and Tony Green. Stephen Benson is to take on the chief executive’s role at Birmingham-based family owned property company Hortons’ Estate Limited. He will take over the role from Tony Green at the firm’s AGM on 24 January 2019, but will be joining in the New Year to work alongside Tony on the handover. Stephen is currently a director in the UK investment team at Savills. One of the Midlands’ most highly respected commercial property investment advisers, he has more than 25 years’ experience in the industry, advising UK pension funds, property companies and private investors and developers on investment acquisitions, disposals, development funding and joint venture structures, as well as providing longer term strategic advice. Stephen was previously managing director of Richard Ellis’ Birmingham office, leaving in 2003 to co-found GBR Property Consultants. This later merged with GBR Phoenix Beard, which was acquired by Savills in 2016. Tony Green has spent more than 18 years at Hortons’ Estate, initially as finance director then taking on the chief executive role in 2009. Peter Horton, chairman of Hortons’ Estate, said: “Tony has led the task of modernising and diversifying the Hortons portfolio over the last decade and it has been a privilege to work alongside him. “His dogged determination in helping to restore The Grand on Colmore Row to its former glory is a huge part of his legacy and we wish him well as he leaves to pursue new business challenges. In his new role Stephen will work alongside executive directors Richard Norgrove (property) and David Freeman (finance), heading Hortons 30-strong team of staff.